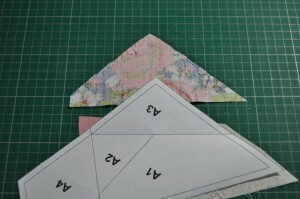 At long last I’ve managed to do a tutorial for my Origami Crane block (finishes at 12″). 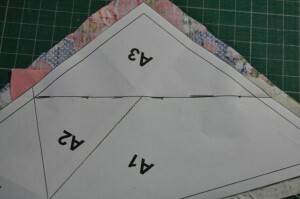 I’m planning to request it as my block in an online quilt block swap, so it seemed only fair to provide some instructions to go with! 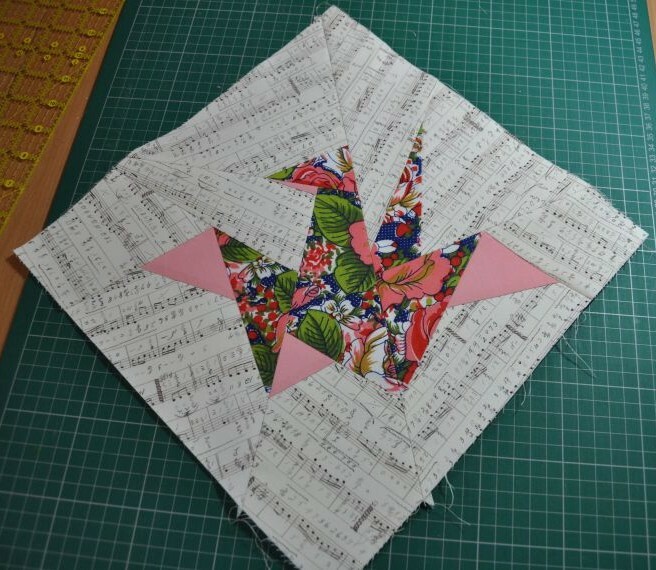 If you’re confident with foundation piecing, you can download the pattern here: Origami_Crane_pattern and get started (print the pattern with no scaling! 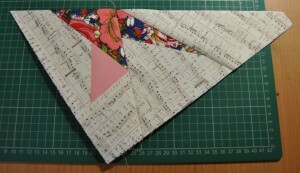 ), or see below for how I pieced this block. 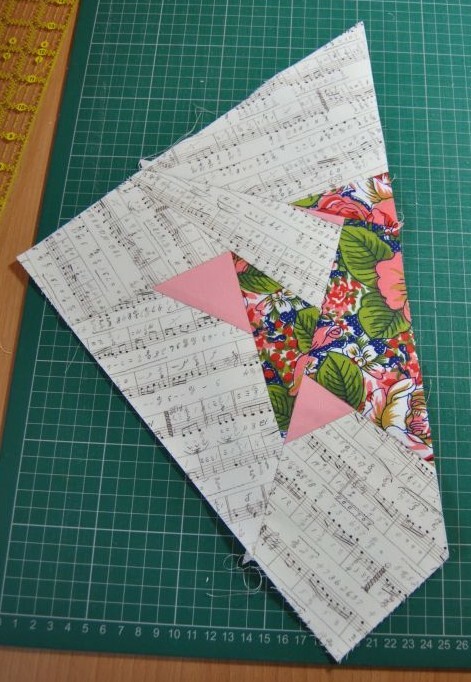 Basic sewing and rotary cutter skills will be useful. 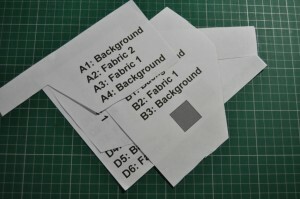 the pattern – printed with NO scaling! 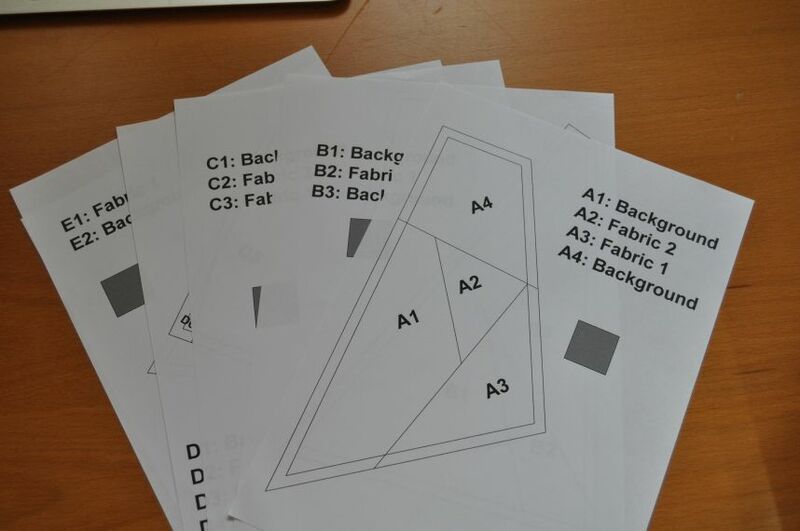 The pattern is intended to print on A4 paper without scaling, though I have tried to ensure that it will print ok on US Letter paper. 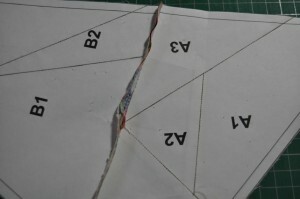 There are six pages – five with different parts of the block and one with an overall joining scheme. 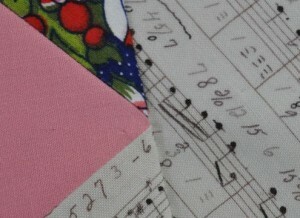 Each block part also has a list of fabrics that correspond to the labelled areas on the block part. 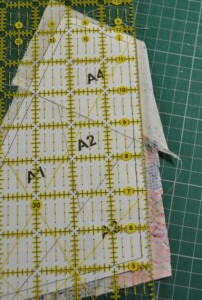 On each block piece page, there is also a grey 1″ square for checking the scale – if this square is not 1″, the block will not be the right size! 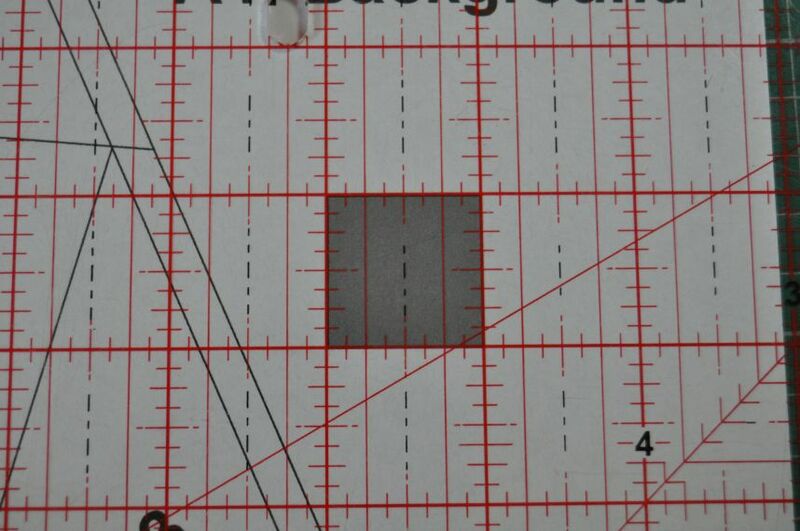 I recommend printing just one part to begin with and checking the size of the grey square to make sure your printer settings are correct before wasting paper printing out all the pieces at the wrong scale! 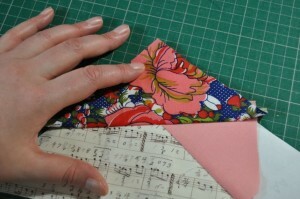 The outer line is the seam allowance for joining the block parts – don’t cut it off! 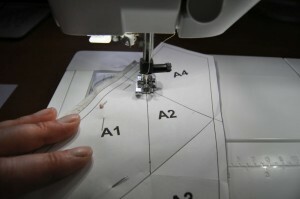 Lastly, make sure you have shortened the stitch length on your sewing machine. About 1.5mm works well. 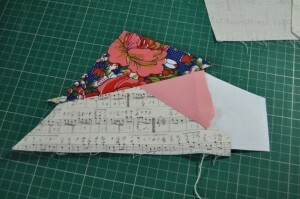 Here’s how I pieced part A – the other parts are all pieced in much the same way. Important! 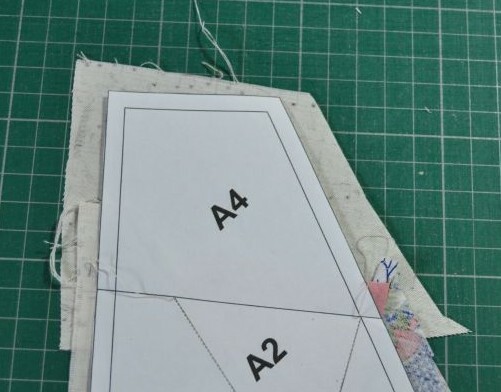 When cutting out fabric pieces, always make sure that the fabric is right-side facing down and the foundation paper is printed side facing up. 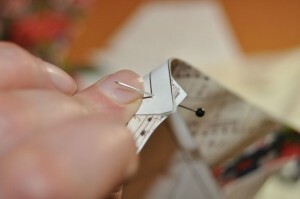 This will ensure that the fabric always ends up the right way round and less fabric is wasted due to miss-cuts. 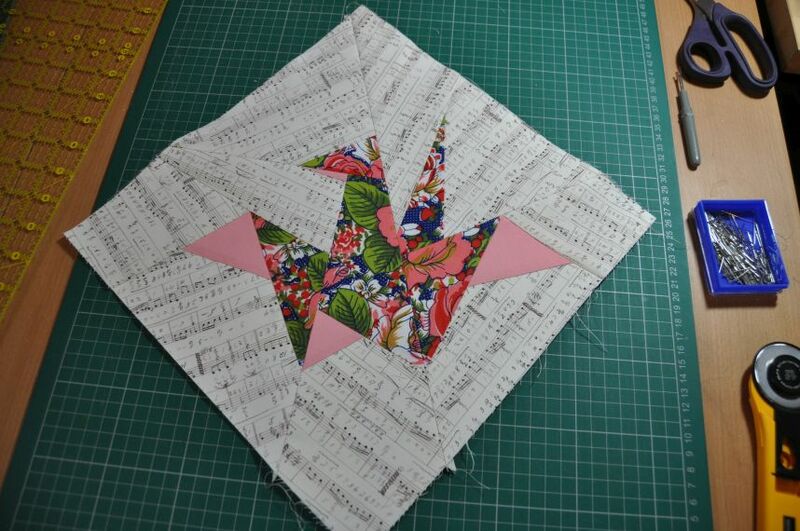 In my example, I have chosen a cream music-score print as the background fabric, a big floral print as fabric 1 (the main parts of the crane) and a solid pink as fabric 2 (the smaller detail parts of the crane). 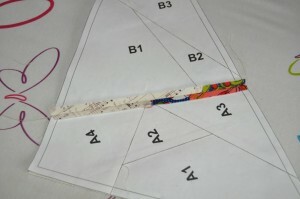 The first piece (A1) of part A is background fabric. 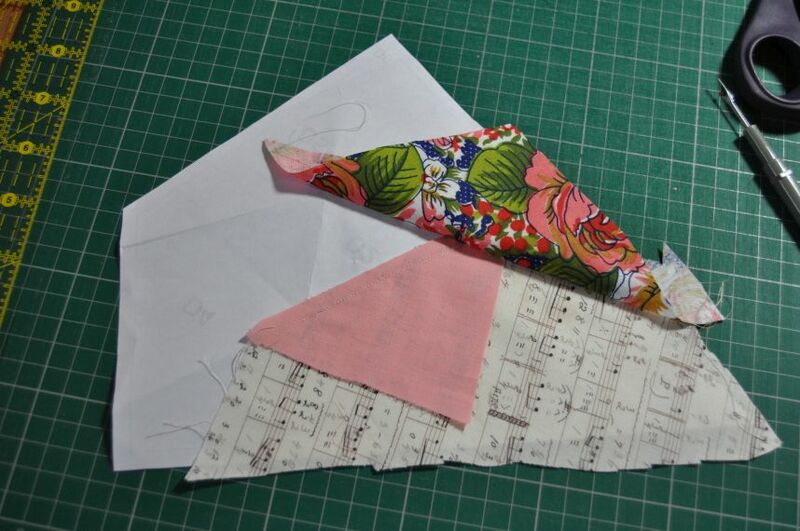 I folded the paper along the stitch lines so that I could get a good idea of the shape of the piece, then cut out a piece of background fabric with a very generous seam allowance. 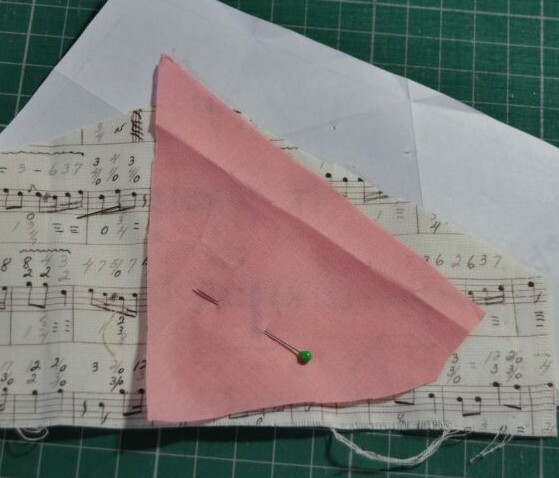 It’s a good idea to secure the first piece of fabric to the paper with a few pins to stop it wandering off where it shouldn’t. 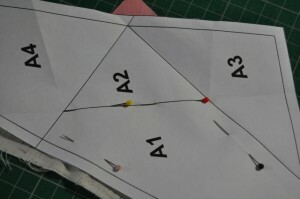 I then repeated the process to cut out A2 (here, A2 is cut from fabric 2). 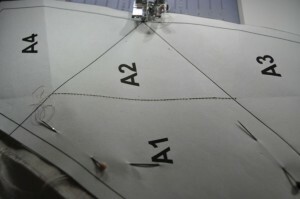 When held up to the light, you can see that the fabric comfortably covers area A2 with plenty of seam allowance. Next comes the clever bit! 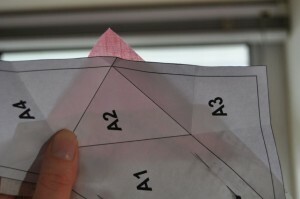 I stumbled across this trick on the internet, but can’t remember where, I will add a link if I find it again. 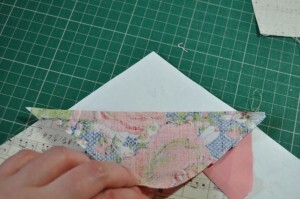 This is an easy way to join the two bits of fabric and make sure that they cover the right areas. 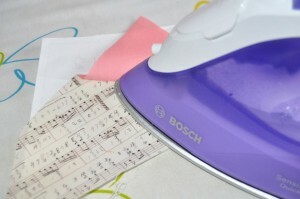 It seems fiddly initially, but it works brilliantly and soon becomes second nature. 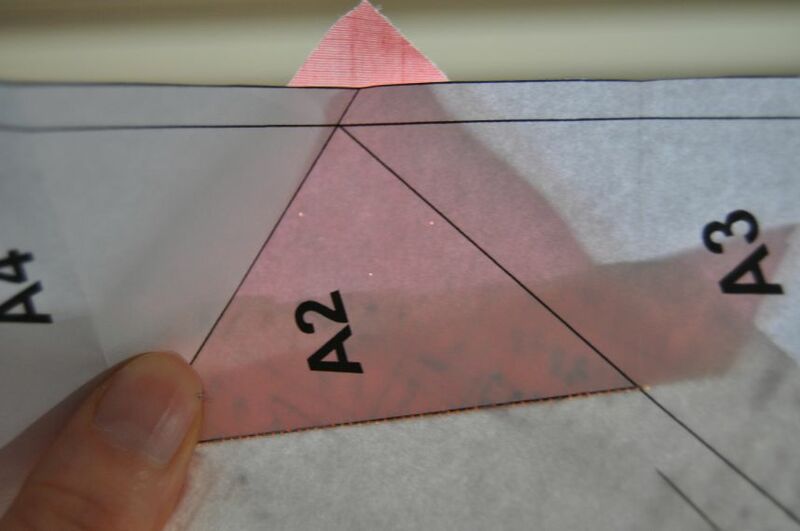 If you have cut out the paper parts carefully, the risk of cutting paper with the rotary cutter blade should be minimal – the 1/4″ seam allowance should line up with the 1/4″ mark of the ruler. 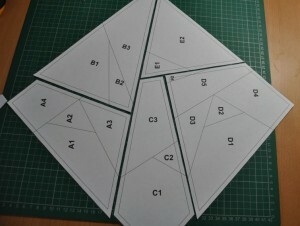 Assemble parts B-E in the same way. 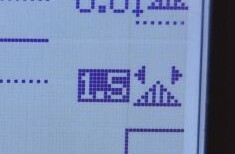 and join them as described in the pattern. 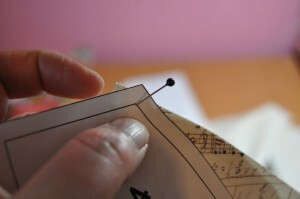 Note that the seam for D6 can be trimmed to 1/8″ if necessary. 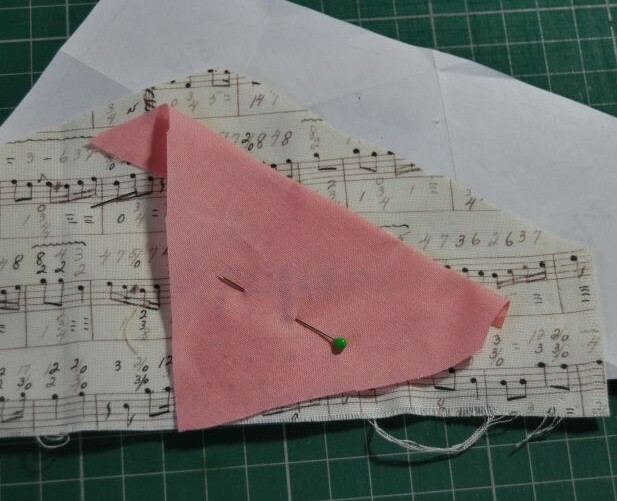 For larger areas of fabric (particularly the background), it is helpful to pin it in place to the paper to stop it wriggling and wrinkling during the final assembly. Then open it up and check that the points match! 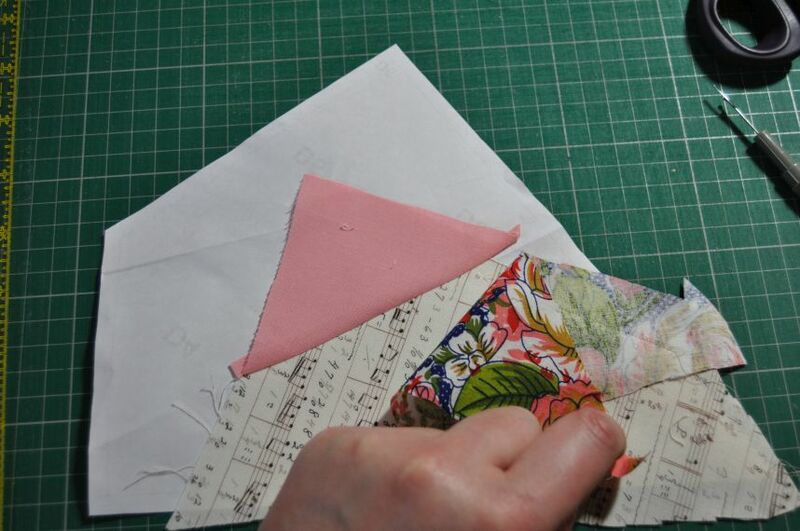 If the blocks aren’t going to be used for a while, it’s probably worth leaving the paper attached for support; it can be carefully removed if the blocks are to be used straightaway. 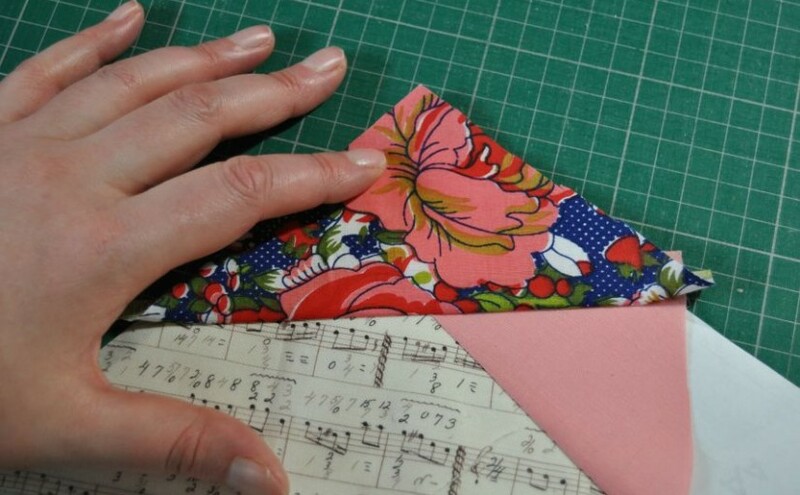 Be gentle when handling the blocks and removing the paper; due to the nature of foundation piecing, the fabric grains will be pointing in various directions and it will be very stretchy and easy to distort as a result! 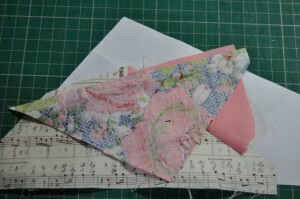 I wasn’t concentrating and attached a new piece before I’d pressed the previous one! 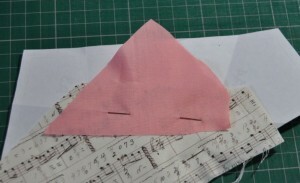 That seam ripper came in handy; luckily I could get away with a partial unpicking to release the pink triangle so it could be pressed properly. I hope this tutorial is interesting and helpful. 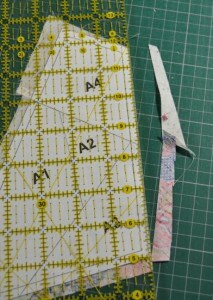 If you make something with this block, please link back to me and show me what you’ve made, I would love to see it. 🙂 If you have any feedback or comments, I would also love to hear them – please let me know if there’s something that I’ve missed or if something isn’t clear! 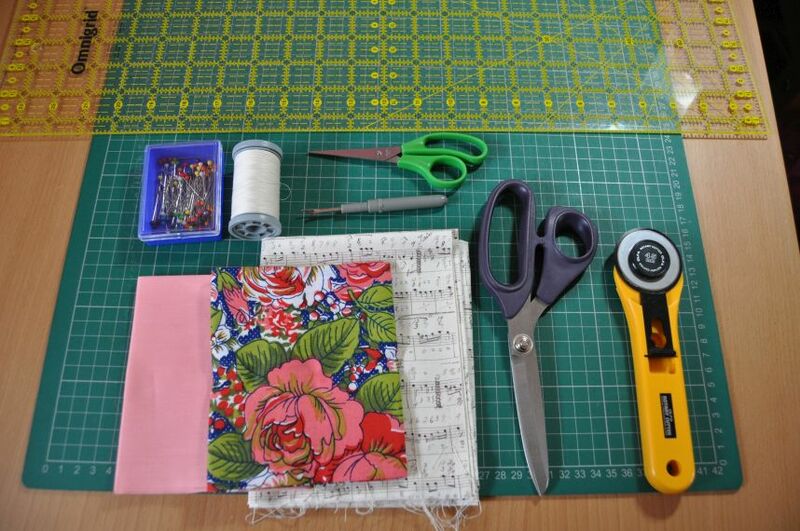 Linking up with Monday Making, Sew Cute Tuesday and Let’s Bee Social when it goes live. Oh wow! That is so neat! 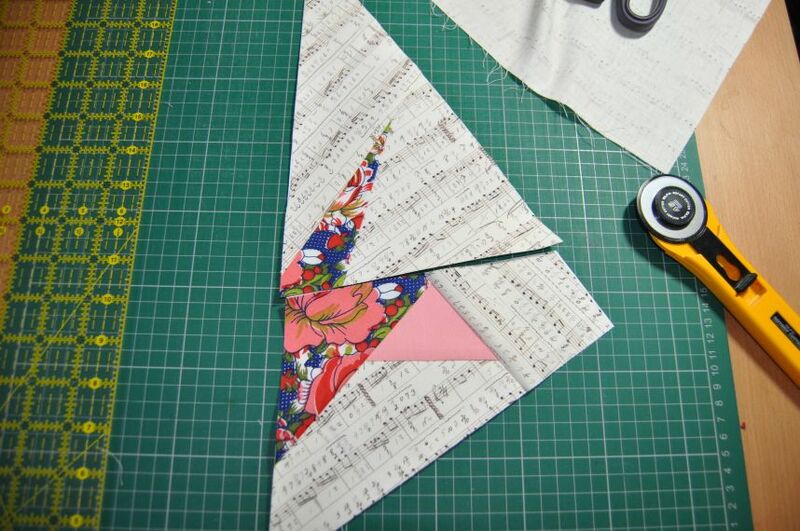 You are really good with paper piecing intricate patterns. Gosh, thanks! 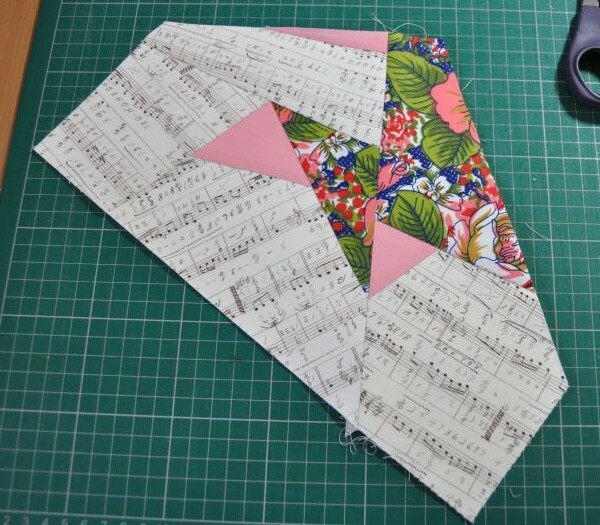 🙂 I’m actually rather new to paper piecing, but it’s a lot of fun – I’d like to try making more designs in the future. 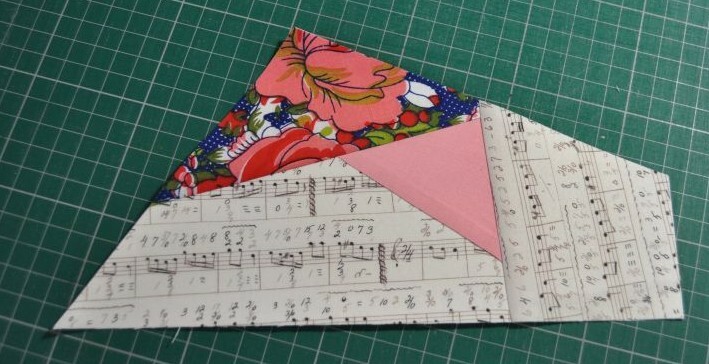 Beautiful crane block! 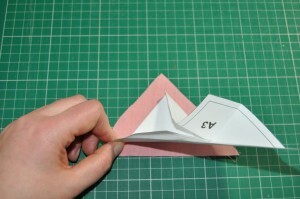 Hope you get lots of happy cranes back from your hive! 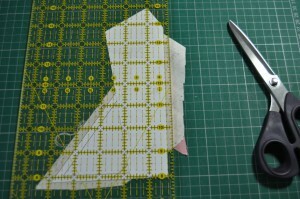 I love that pattern…thank you so much for the tutorial. Will have to bookmark this! 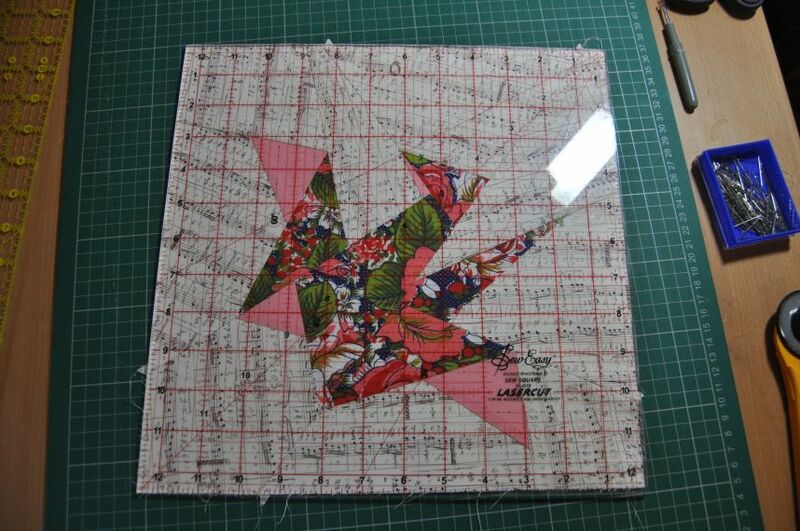 Next Next post: Crane Wall Hanging – Finished!